SuretyGroup.com writes Oregon mortgage Servicer bonds. 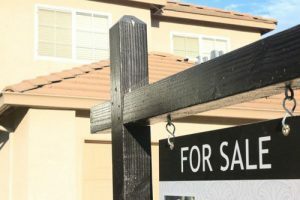 In 2017, Oregon lawmakers wanted to make sure that their state’s mortgage servicers didn’t engage in actions that violated state or federal laws or conducted fraudulent, deceptive or dishonest dealings. In August of that year, the Oregon Senate passed Bill 98, the Oregon Mortgage Loan Servicer Practices Act, also known as the “Servicer Act.” The new law went into effect on Jan. 1, 2018. This comes after an investigation into one of the country’s largest mortgage servicing companies, where the company was found in violation of state and federal laws and resulted in harm to homeowners. The law gives the Department of Consumer and Business Services the authority to regulate mortgage loans servicers, and the Department’s Division of Financial Regulation has the responsibility of licensing and enforcing mortgage loan servicing companies. This protects homeowners from instances of unfair practices from companies that service their home loans. Mortgage servicers are now required to obtain a license, and to obtain a $50,000 surety bond or letter of credit. The bond must be submitted in the NMLS by a surety company that is licensed to do business in Oregon. Instead of a bond, the company may upload a letter of credit from a federally insured institution to the NMLS. The original documents must be mailed to the Department of Consumer and Business Services. If a company both originates and services mortgage loans, it will need a license and bond for both. Licenses expire yearly on Dec. 31. A license for a mortgage servicer allows for third party first mortgage servicing, third-party subordinate lien mortgage servicing, first mortgage servicing, master servicing, and subordinate lien mortgage servicing. Premiums for surety bonds are based on credit and the bond amount. SuretyGroup.com is licensed to write all Oregon surety bonds, including Mortgage Servicer Bonds. Contact our Surety Bond Specialists for a free quote that fits your specific needs.